Photography, Filmmaking, Snowboarding, Music, SNS, Whatever? The only constant is change! Vote now on honeyee.com! Important question, show your opinion. There is some great stuff in this interview with the Fairewinds family. It is kind of long, but well worth listening to. Just hit play and then do your email or surf the web while you listen. There are some great quotes, like this one. Traveling in the Tohoku area right now has once again reminded me how badly this area and these people are being screwed by their own Government. Yesterday I met a young guy from Ofuna city, which was hit badly by the Tsunami last year. He lost three close friends and said he was only saved because he was snowboarding when the earthquake happened so he was far away when the Tsunami hit. Listening to people’s stories here is incredible. They have been through so much and all they get in return is high radiation dosages, contaminated food and a Government that can only provide free rides on the Highway system in Tohoku. Lame, this really lame cover up continues to go on over here. Interesting and thought provoking article here, I love this quote from the story. Is is really possible to claim organic on any produce from the Fukushima and greater Tohoku area anymore? Radiation is not a pesticide….but…. Arnie is in Japanese now! Great news for the Japanese viewing audience! 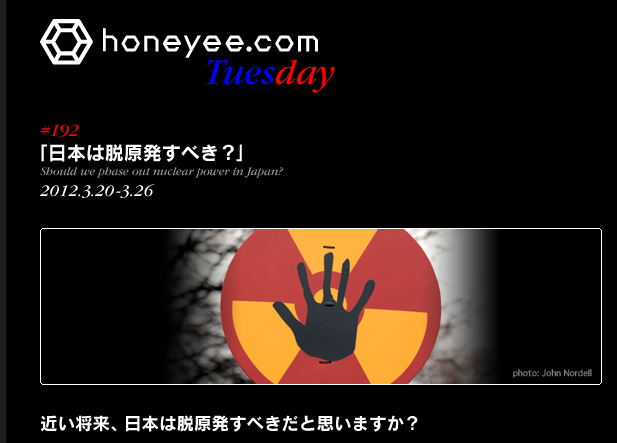 Arnie’s video reports concerning the situation in Fukushima and the global Nuclear industry are now being translated into Japanese! There is now a fairewinds.jp web page, still under construction, but worth viewing. Thanks to all the volunteers that are making it happen! I was tipped on this fantastic article about Japan’s on going nuclear nightmare and the causes behind it. This is a super read from someone who truly knows Japan, its culture, history, and inner workings! You must read this. Here is a short clipping to whet your appetite, follow the link to read the whole article. The nuclear crisis at Fukushima has created an obvious danger AND, IN TURN, TO government promises to improve the safety of this technology, if not eliminate it altogether. But can Japan’s nuclear power ever be safe? Amakudari : Japan’s system of amakudari (literally, ‘descent from heaven’), in which bureaucrats retire from their ministries to take up lucrative positions in the companies they formerly ‘regulated,’ means that there is no real distinction between regulator and regulated in Japan. Indeed, it’s probably fair to say that certain powerful industries actually regulate the ministries that are tasked with regulating them. There is a simple reason for this, which anyone who has ever lived in Japan will immediately understand: in Japan, sempai is for life. Keep in mind that the retired bureaucrats who have become industry executives remain sempai to the younger bureaucrats who remain in the ministries (their former kohai). It is unthinkable that these kohai could effectively regulate their former sempai — for it would involve an inversion of one of the most fundamental relationships in Japanese life. 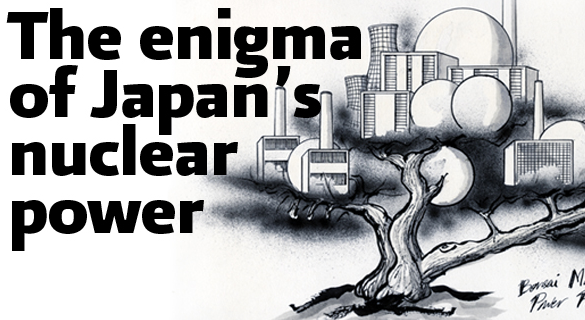 Perhaps no industry is as rife with amakudari as the nuclear industry. Tepco is typical, with four company vice presidents between 1959 and 2010 coming from Japan’s Nuclear and Industrial Safety Commission, the main ministry tasked with overseeing the nuclear industry. From way back in April, somehow I missed this. A press conference by TEPCO and the NISA heads for the foreign press. Not a single foreign press person showed up, yet they still talked to no one for 24 minutes and at the end actually ask for questions! Apparently the foreign press was already aware that no truths were coming out of those pr talks. A classic moment for sure! Had to post this just so I can go back 10 years from now and have another laugh. That it has a serious problem! A quote from the latest video offering from my hero at Fairewinds, Arnie Gunderson. As usual Arnie steps up with solid info on the latest developments at Fukushima and really explains things nicely, although the news he presents is not that great. Take 10 minutes watch the video and pass it along, is there anybody out there that can start translating Arnie’s videos and adding subtitles for the Japanese public? They need to hear this stuff.